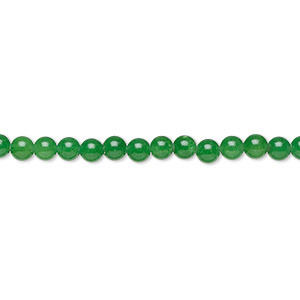 Bead, Malaysia "jade" (quartz) (dyed), green, 3mm round with 0.5-1.5mm hole, B grade, Mohs hardness 7. Sold per 15-1/2" to 16" strand. Item Number: H20-3832GS Have a question about this item? 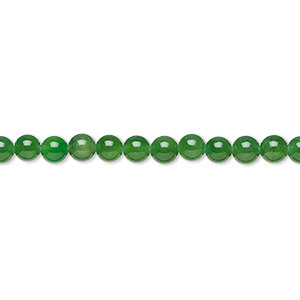 These vibrantly colored beads are commonly mistaken for fine quality jade. They are actually translucent quartz, well-polished and permanently dyed. Color saturation varies among sizes with the smaller millimeter sizes being lighter in color than the larger sizes. Color may vary from dye lot to dye lot. 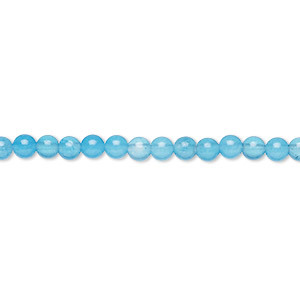 Bead, Malaysia "jade" (quartz) (dyed), turquoise blue, 3mm round with 0.5-1.5mm hole, B grade, Mohs hardness 7. Sold per 15-1/2" to 16" strand. 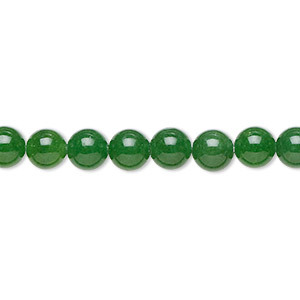 Bead, Malaysia "jade" (quartz) (dyed), green, 6mm round with 0.5-1.5mm hole, B grade, Mohs hardness 7. Sold per 15-1/2" to 16" strand. 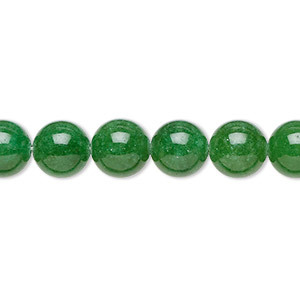 Bead, Malaysia "jade" (quartz) (dyed), green, 8mm round with 0.5-1.5mm hole, B grade, Mohs hardness 7. Sold per 15-1/2" to 16" strand. 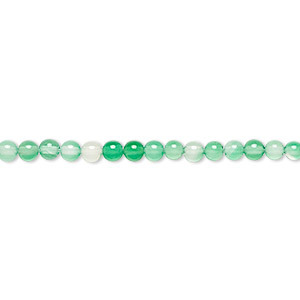 Bead, Malaysia "jade" (quartz) (dyed), green, 4mm round with 0.5-1.5mm hole, B grade, Mohs hardness 7. Sold per 15-1/2" to 16" strand. 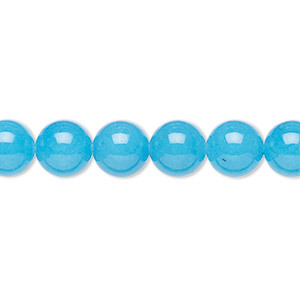 Bead, Malaysia "jade" (quartz) (dyed), turquoise blue, 4mm round with 0.5-1.5mm hole, B grade, Mohs hardness 7. Sold per 15-1/2" to 16" strand. 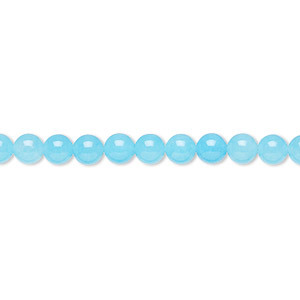 Bead, Malaysia "jade" (quartz) (dyed), turquoise blue, 8mm round with 0.5-1.5mm hole, B grade, Mohs hardness 7. Sold per 15-1/2" to 16" strand. Bead, green agate (dyed), 3mm round, B grade, Mohs hardness 6-1/2 to 7. Sold per 16-inch strand. 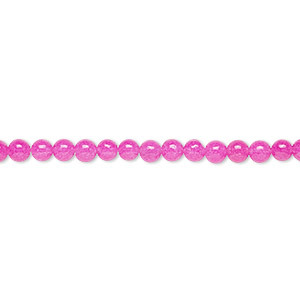 Bead, Malaysia "jade" (quartz) (dyed), fuchsia, 3mm round with 0.5-1.5mm hole, B grade, Mohs hardness 7. Sold per 15-1/2" to 16" strand. 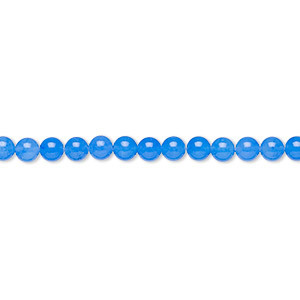 Bead, Malaysia "jade" (quartz) (dyed), cobalt, 3mm round with 0.5-1.5mm hole, B grade, Mohs hardness 7. Sold per 15-1/2" to 16" strand. 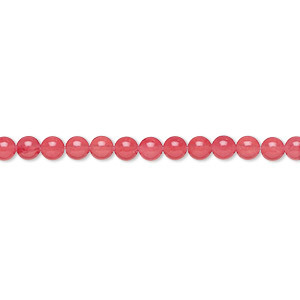 Bead, Malaysia "jade" (quartz) (dyed), red, 3mm round with 0.5-1.5mm hole, B grade, Mohs hardness 7. Sold per 15-1/2" to 16" strand.